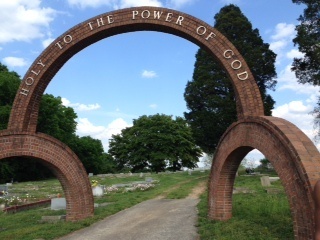 It is a gateway arch leading to the cemetary with a height of about 12ft. The arc is suppored by two smaller arches which are painted. The letters are located across the main arch, in the middle.